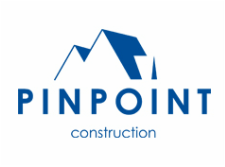 Pin Point Construction is a multi-award winning building company that has been operating since 2012. We specialise in individual projects which requires the highest standard of workmanship and attention to detail. Andrew Pin and Michael McInerney work closely with our clients, designers and architects to ensure projects are completed on schedule, within budget and to the highest quality standard. ​At Pin Point we take pride in exceeding the expectations of our clients. We focus on attention to detail, quality & value.